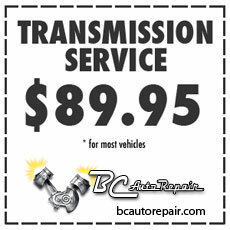 BC Auto Repair is a family owned and operated establishment. Founded in 1985 on the principle of offering superior automotive repair at an affordable rate, BC Auto Repair is located at 2130 W. 2nd Street. 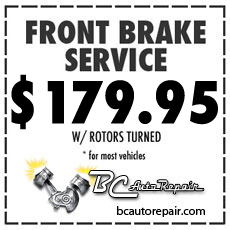 Owner Brent Coats has over 40 years of service in the industry with expertise in all aspects of automotive repair. 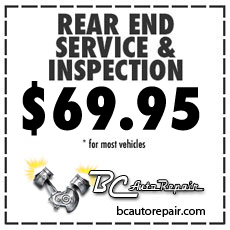 Head Technician Chad Coats has been with BC Auto Repair for over a decade and continues the family tradition of quality, affordable automotive service. 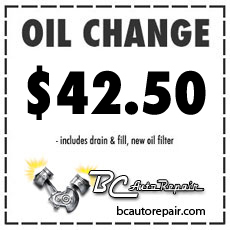 Visit BC Auto Repair for all your automotive repair needs. From oil changes to engine overhauls, we do complete auto repair. We guarantee your satisfaction with our work and welcome your business.